We wanted to be “different”. The conventional business in our market was very traditional and national in character. We dreamed of developing a business enterprise internationally – in particular, above and beyond Europe’s boundaries – that was characterised by a personal relationship with the customer and that allowed long-term, trusting collaboration. 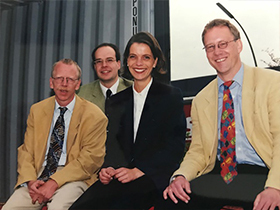 We started on 1 April 1999 as a team of four. 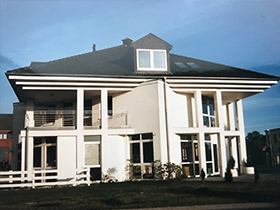 Without a back office or further support, we put all our energy into the project and gradually gained for ourselves the trust of the customers and the suppliers. Business developed and we could see that we were on the right path. The work volume increased in colossal fashion and the resolve grew to get an employee on board for the area of order processing. For us, this was the first significant step towards growth. The development of the first year continued and further employees were brought into the team. It was necessary not just to cope with the work volume but to satisfy the customers in line with our business idea. To achieve this, further growth was necessary. The originally rented office space was not sufficient. 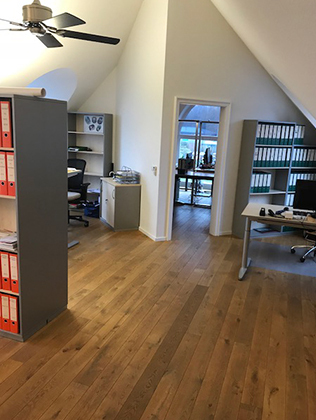 We moved to considerably larger premises at Stadtkoppel 26 in Lüneburg. 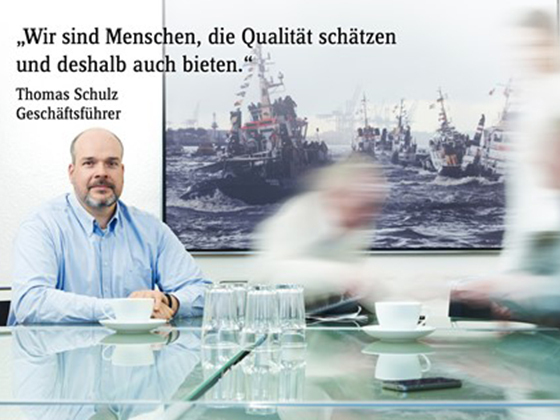 The requirements placed on our products – and therefore on us – by customers, suppliers and authorities grew. To fulfil them, we had to change our thinking, especially in the area of logistics and in the storage of our products. We found the food logistics business Kobernuss, which, in addition to its transport division, also operated a logistics division that fulfilled all the requirements. This resulted in a trusting partnership that continues to this day. 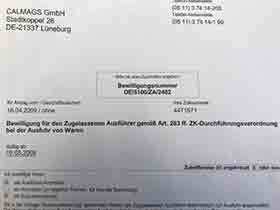 Nearly all of the stocks of Calmags GmbH are stored at the logistics company Kobernuss in Uelzen. For us, the duty to help is a matter of course. From the beginning, our responsibility as entrepreneurs has moved us to want to give something where it is urgently required. In 2004, we decided for the first time to promote social projects, including as part of our entrepreneurial activity. 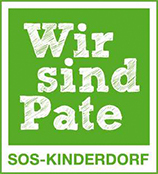 We took on several sponsorships for children in SOS Children’s Villages. We have also supported many other charitable projects up until now. However, we have never neglected the SOS children. Our world, as the foundation of our life, is worth protecting. We wanted to do what we could, as far as was possible for us. 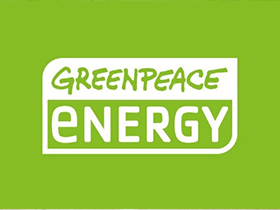 For this reason, since 2005 we have received only green power for all our office rooms. We thus want to create awareness and promote secure and sustainable energy generation through corresponding demand. 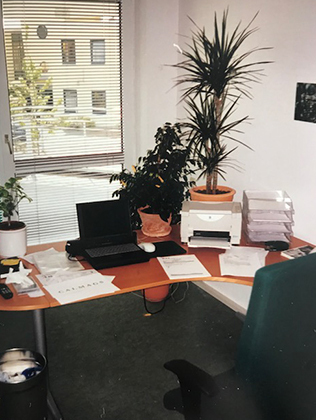 In 2006, when chemical dealer Riebe in Uelzen decided to put its business up for sale, we did not delay in acquiring it. Today, we view this step as a further milestone on our growth path. It is also important to us to work hand in hand with the authorities. In international trade in particular, customs plays an important role. In 2009, the customs showed us the trust of appointing us as an authorised exporter (AE). The business grew further. Space requirements increased. 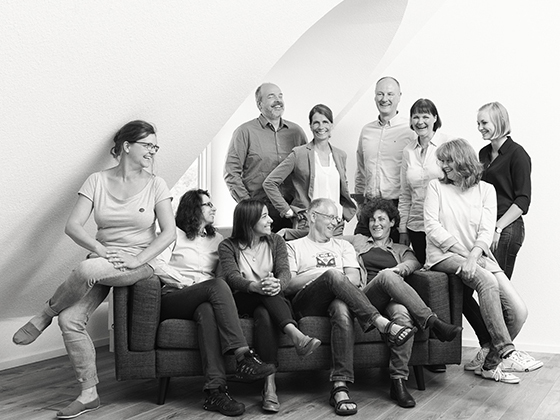 For this reason, we decided to double the office space of our company headquarters at Stadtkoppel 26. Here, we felt the need to create bright, friendly, ergonomic and, above all, modern workplaces for our employees. The market now increasingly demanded commercial organisation that, like industrial businesses, was structured by means of management systems. Based on our food and pharmaceutical focus, we quickly decided which standard to choose. 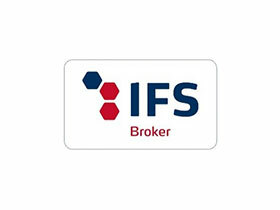 In May 2013, we completed our first certification in the IFS broker area. Food compatibility and the proximity to the requirements in the pharmaceutical sector opened up further doors to us. 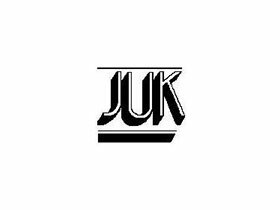 We were very pleased when manufacturer JUK expressed its trust in us and transferred to us the sole representation for the sale of the product erythrulose on the North American market. This development was based on a trusting relationship that had grown over many years. Erythrulose is one of the main components for the production of self-tanning preparations. With the health risk for human skin through the impact of solar radiation (UV) rising, the “gentle type” of self-tanning is increasingly being used – a growing market that we are actively involved in. 15 years of Calmags, with rapid development that we look back at with pride. Above all, we are proud of customer and supplier loyalty that shows us that our founding idea is well received – indeed, even desired – on the market. For us, this was a pleasing reason to celebrate what we had achieved with all the employees and their families in due fashion…a real milestone! 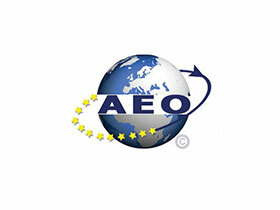 In order to present our customs-law trustworthiness outwardly as well, following the granting of AE status (Authorised Exporter) in 2009 we now also went through the AEO (Authorised Economic Operator) certification. With this certification, the customs certify compliance with the customs and tax-law regulations, orderly and error-free accounting, solvency and fulfilment of necessary safety standards. We have occupied ourselves with trade in active pharmaceutical ingredients (APIs) for a long time. 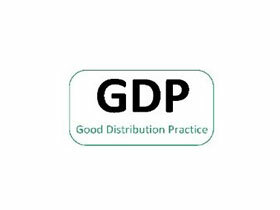 We have now ventured into this market and with the GDP certification we have met the regulatory requirements to take on products of this type into our portfolio. 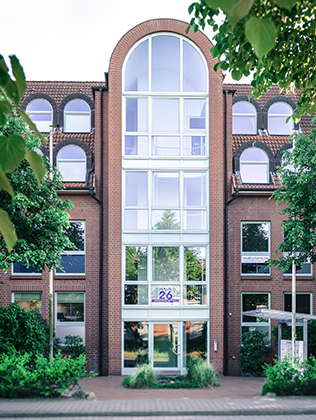 CALMAGS GmbH was founded in Lüneburg in 1999. 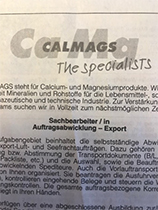 CALMAGS GmbH was founded in Lüneburg in April 1999. 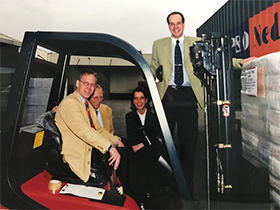 From the start, the company name said it all: deliveries of high-quality calcium and magnesium products and a short time later also of iron and zinc salts to the food, pharmaceutical and cosmetic industry. Our products are used in a wide variety of applications as raw materials or as active ingredients on the way to the finished product. Our great value is our provision of individual support to our worldwide customers on the one hand and our role as a link to reliable producers on the other hand. Both parties benefit from our many years of experience and support, thus creating a win-win situation. To this end, we use modern IT systems and ensure fast and uncomplicated communication. Nothing less than completely satisfied customers is our motivation. That has always been the case. We have committed ourselves to the highest possible transparency and reliability. This includes constantly monitored, consistently high quality of our products, which we have provided for decades. We take the implementation of individual requirements of our customers from A-Z seriously and we cover all requirements, from the individual container to the full load container. Special packaging? We do that too! 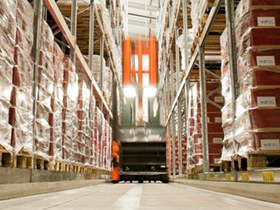 Topics such as product safety and traceability are firmly integrated in our daily work processes. We are certified according to IFS-Broker (International Food Standard) and GDP (Good Distribution Practice).